Washington (AFP) - US President Barack Obama called Wednesday for the release of three Al-Jazeera journalists sentenced to prison in Egypt for allegedly defaming the country. Speaking at the end of a US-Africa summit, Obama said that the United States insists on the right of journalists to practice their trade as a critical element of civil society. "In the specific issue of the Al-Jazeera journalists, we have been clear both publicly and privately, they should be released," Obama said at a news conference. Australian journalist Peter Greste, Egyptian-Canadian Mohamed Fadel Fahmy and Egyptian producer Baher Mohamed were convicted in June of aiding the blacklisted Muslim Brotherhood and spreading false news that portrayed Egypt as being in a state of "civil war." 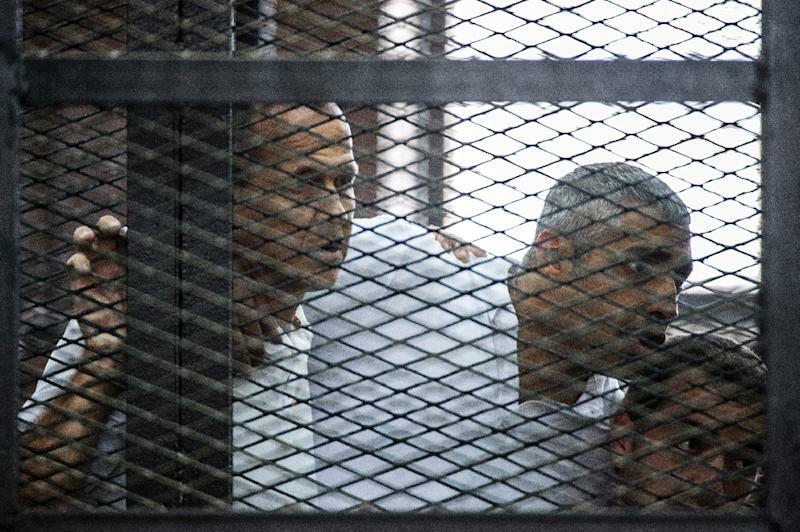 Greste and Fahmy received seven-year terms, while Mohamed was jailed for 10 years, in a case that sparked international outrage. "The devil guided them to use journalism and direct it toward activities against this nation," the court said in a statement explaining its verdict.